Scrambling for a better view. I spent a significant part of this weekend photographing the Chinese New Year celebrations in Johannesburg and the greater Gauteng area. It is not a date I have paid much attention to in the past, particularly since most of the Chinese people I ever have contact with are the various shop keepers and restaurant owners around the city. But this year I wanted to practice my photography, so with a bag full of lenses I went first to the Old Chinatown at the bottom of Commissioner Street in the CBD on Saturday night, and the Nan Hua Buddhist Temple in Bronkhorspruit on Sunday morning. Both were lots of fun, although very challenging to photograph and I learned a lot about my own limitations and sadly that of my current camera. While running around and constantly changing lenses I also learned quite a bit about various Chinese traditions and the Year of the Dragon. What I really liked is that this is the time that Chinese people dedicate to spending with family, and for many it is the only time during the year that they will see them. A few months ago someone told me I should watch a documentary called Last Train Home – it follows the lives of one Chinese family where the parents work in the city while their children live in the countryside with their grandparents. Once a year, ahead of Chinese New Year, the parents, together with hundreds of thousands of others queue for days at the train station for tickets, spend a few days at home, and then have to queue again to secure tickets to return to the city where they earn a living. It is a heartbreaking story and particularly relevant for South Africans, where many families still rely on migrant labour for income. I have been to the temple several times before, although there have never been more than 10 other visitors there at the time so it was completely overwhelming to see hundreds (if not thousands) of people at the temple complex yesterday, which is about an hours drive from Johannesburg. I strongly recommend it to anyone living in or visiting Johannesburg both at New Year time and on a quiet Sunday morning. It is a very warm and welcoming place and they put a lot of emphasis on learning about various cultures. 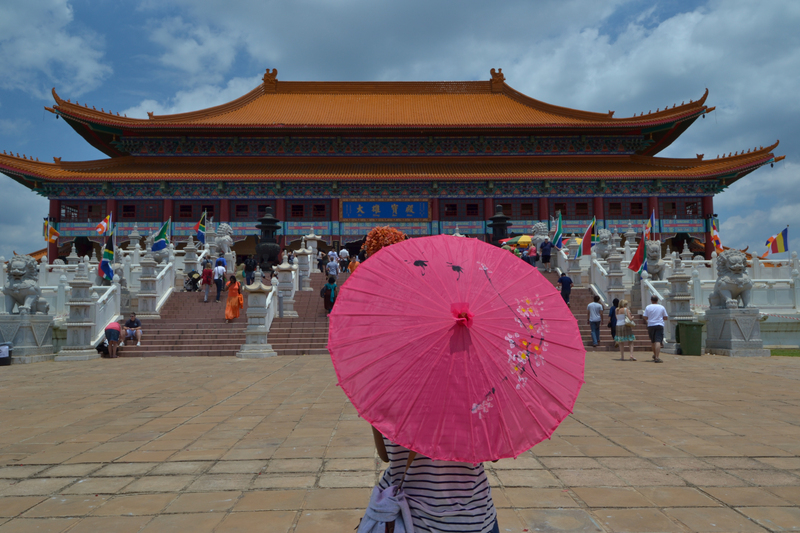 It was very interesting to note that both in the CBD and at the temple the majority of people were not Chinese but South Africans from all walks of life. During the opening ceremony at the temple we were encouraged to take away three teachings or commandments – think good thoughts, speak good words, and do good things. I will be trying to do just that this year. 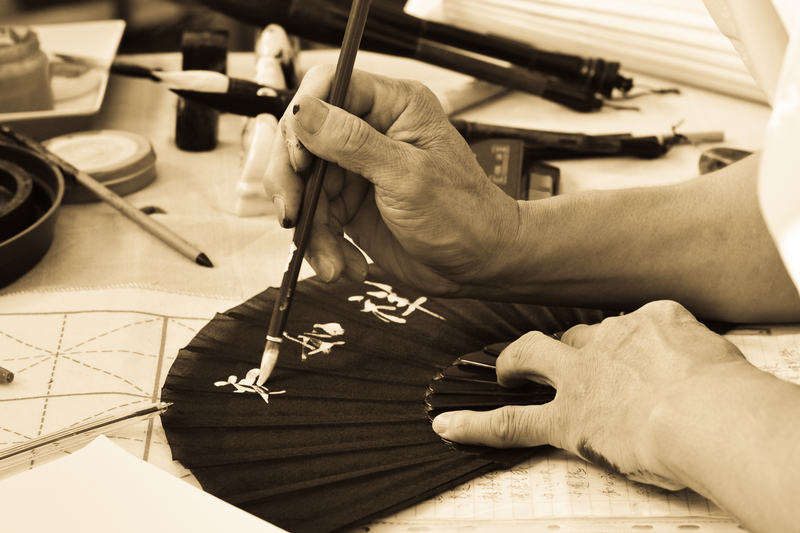 Hand painted personal messages on fans. The main temple at Nan Hua. The dragon team preparing at Chinese New Year in the Joburg CBD. 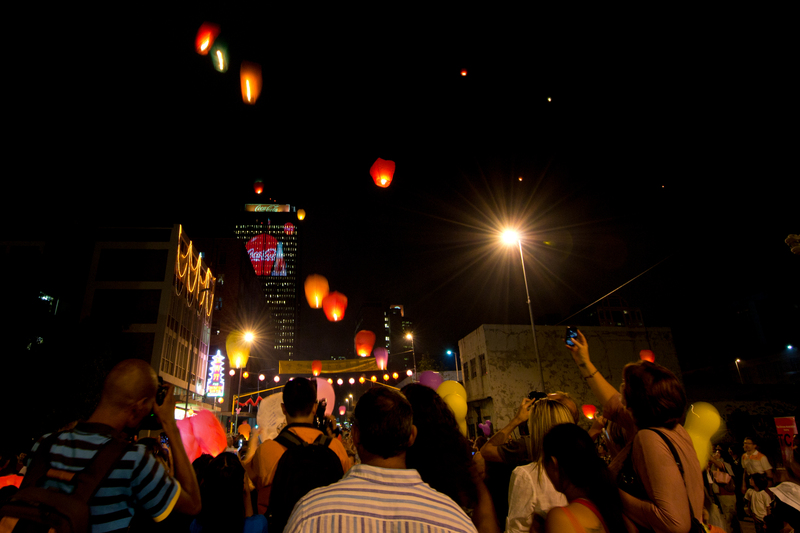 People release lanterns with their wishes into the Joburg sky. A performer at the festivities in the CBD. Such simple rules for living life, yet so important. And with the good thoughts come the good words and actions eventually. Dreaming goodies definitely up there! I think I might just print out that mantra (“think good thoughts, speak good words, and do good things”) and tape it to my wall — beautiful reminder of what humans should practice on a daily basis! Great idea. I might do the same! My significant other and I met in a class teaching mandarin, so we’ve always celebrated the Chinese new year to remind ourselves of our beginning. It’s so great to read about other people learning about the culture and getting into it! Your photos are amazing, and I hope you had so much fun! Thank you for your feedback Victoria, and I love how Chinese NY has such a special meaning for you. i will check out Last Train Home on netflix to see if it’s available. Lovely photos. Thank you, let me know what you think of it if you find it. I only know one other person who has seen it. Nice column. I’ve been in Beijing for the last two New Year’s celebrations. The city feels like a totally different place during the holiday because so many people leave to go home. You can actually get a seat on the subway! Hi Jimmy, I’ve been wanting to go to China for many years now. I can’t wait to see the cities but I would love to see the countryside too. My friend who recommended the documentary told me some amazing stories – like on morning they were driving past what seemed like a massive deserted suburb with multi-lane highways and he asked why no one was living there. His host replied that these were to accommodate the people who would be flocking to the city in the next few years. That is mind boggling. Thanks for the tip about the Documentary too, I will definintely make a note to see that. That’s awesome! Here the Koreans seem to spend it mostly with being around their families, so if there’s any cool celebrations like these, well then I haven’t seen them. Well as I mentioned a lot of the people at these festivals weren’t even Chinese and I think it’s a great opportunity to learn more about the culture. During many of the speeches or addresses the dignitaries highlighted that and I couldn’t agree more. Beautiful photos. I find it heartbreaking that parents see their children only once a year. Hi Bethany, thank you for the kind words about my photos. I agree with you yet so many parents around the world have to do that to make ends meet, particularly in countries with a long history of migrant labour. In the documentary you really see the effect it has on the parents relationship with their children. I love this post! It’s such a beautiful celebration and you captured it perfectly! Looks like an amazing experience! The photos are just stunning, too! These are beautiful pictures and it must of been such an amazing and unique experience!!!! It really was – you should definitely try it if you’re ever in Joburg. Vibrant shots that leap off the screen! Nicely done. “think good thoughts, speak good words and do good things”! ill keep that in mind. thank you, beautiful pics as well! Such great advice! Definitely something to strive for…. Thank you Susie, I cannot believe the amazing feedback. Es muss sein. Love the blog! Thank you so much – I hope I can do some justice to the title of my favourite novel (yours too? )by naming the blog after it. Great photos and great post! Thanks for the reminder for this new year, “think good thoughts, speak good words, and do good things”. I checked out your other photos too. I really liked the shots of your dog. So lovely! Best of luck with Project 365! Thank you, really appreciate your feedback. Alas the sausage dog isn’t mine but a friend’s – real cutie. My dog is a white boxer, there are one or two photos of him on Flickr somewhere. He lives with parents though and he’s got a nerve problem. Best dog in the world though. I’m glad you found these beautiful teachings and shared them with us. I have a 4 year old and this seems to be the kind of thing that can be easily shared. In the same way that my mother repeated to me the ever important mantra of clean hands: ‘wash your hands before eating and after using the bathroom’ :). ‘Think good thoughts, speak good words, and do good things’. I will print this as well and put it next to my computer at work. Good words to start my day and to lean on to as I go. Thank you! Thank you so much for the feedback – it is something I will teach my children too. Especially thinking good thoughts and not allowing negative feelings to fester inside your head. This must have been maginificent to watch. Love how you do some black and white here too. Thank you – I love the effect too but in many cases it was because I was shooting on very high ISO and it made the pictures a bit noisy – the black and white looks cool with a bit of grain so problem sorted! I agree with thinking good thoughts. And beautiful pics, by the way. Great advice to live by. Thank you for the post and the pictures. Like the photos. The imagery complements your blog well!! Want to see a simple and funny ZEN? Please visit FeedzeSoul – thank you in advance. “Think good thoughts, speak good words, and do good things.” Love it! The world would be a much different place if we all followed this mantra. Great pictures, too! nice write about the chinese and the think good thoughts. keep it up. Truly enjoyed your post! It’s important to learn from other cultures, and you have given us another reason why. Thank you for the feedback – glad you enjoyed it. Limitations of your camera? Wish I even had one. Smiles! I’m sure in game for ‘thinking good thoughts, speaking good words and doing good deeds’. Nice pictures really and a very organized use of words! Hey you deserve the good feedback – good luck on your 365 project! I love that you mention “Last Train Home.” It is a very powerful movie that deals with the struggles that families of all kinds can go through – just imagine how much harder it is during such a massive migration. Even if sometimes we don’t recognize that our family misses us when it reaches out, times like Lunar New Year remind us how important it is to take some time out of our busy lives and just be a mother, a father, a son, or a daughter again. I really agree – in two weeks time I will be visiting my grandmother who lives overseas. I have not seen her in 6 years so I will really take your advice to heart. It is one of my personnel ambition to visit China one day. They have a great culture. I will be checking out that documentary you mentioned..its hard to imagine families where not everyone sees each other every day. we here in america take it for granted sometimes. thanks for sharing and love the pics. Thank you for the feedback. It really is tragic that so many families have to stay apart for economic reasons. Let me know what you think of the documentary. Call me ethnocentric or a bit dense, but I honestly had no idea that the Chinese New Year was celebrated all over the world the way it is. 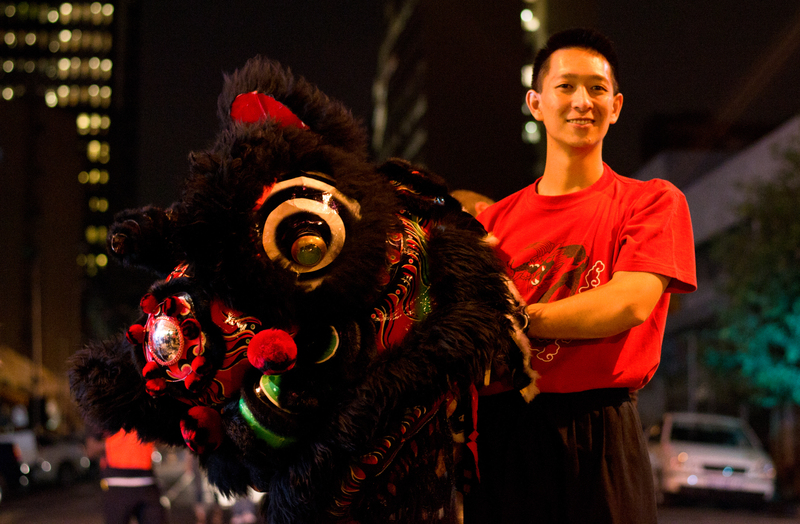 Your post and the accompanying pictures have helped to illustrate that culture is everywhere, and that the Year of the Dragon is being celebrated in every time zone. I also wanted to comment on one thing you said about the Chinese appreciation of family – we could all learn a bit from that. Thanks for this post, and the reminder. Take care. Hi, I completely agree. The last new years I spent with family was when I wasn’t old enough to go out. “think good thoughts, speak good words, and do good things” simple rules to live by yet so hard to do. The photo with the “the remains of crackers” theme is so imposing. Its like watching a thrilling movie, i can hear the sounds it makes. Wow, thank you. It is my favorite photo and the sound was terrifying. I like the part when people released the wishes lanterns! I think that’s the best advice for the new year. I couldn’t agree more. That’s really lovely – I hope you do! I love photography and blogs about life in other countries. I ran across this one today. Enjoy! Thank you for liking enough to share. great post and the photographs are so lovely and perfect. I really like those last few night images you shot. They’re perfect! What clarity and color you were able to capture. My son was in a Chinese Lion Dance last year. http://wp.me/pSBUL-jX I was able to get a few photos when I escorted the team around. It was a great experience for him and quite physical. That is really lovely – thank you for sharing and for the warm feedback. Lovely message. And I think the photos are lovely–can’t see whatever problem you were having. Hi Yogaleigh – thank you for the warm feedback. I guess I am a harsh critic of my own work but I am very happy with the photos. Just know they could always be better. Hope you will visit the blog again. Funny you say that – last year I travelled to Gabon in Central West Africa and the hotel I stayed in was run by a Chinese family. In the past three years I have been to China 7 times volunteering on a Migrant Labour Rights project so am very interested in the seeing the film you recommend. I have come to appreciate many things about the Chinese culture including the importance of family. I look forward to some day celebrating the Lunar New Year in China. Hi Theresa, that is incredibly interesting. I would be great to have your feedback on the film particulalry since you have exprience in this field. Great ! nothing els but great! Loved the picture of the dragon team. It must have been so amazing. Thank you – it really was. They had fireworks and crackers going off in the background which was quite crazy. Hmmm…interesting insights. The pictures half the story. Quite refreshing to read. Thank you so much. I want to strike the right balance between writing and photography on the blog – without drowning one at the expense of another. I was at the Bronkies celebration and all I can say: What an experience! That is how a new year celebration should be spent. As for the Think Good Thoughts idea- I would call that a B.A.G: Big Audacious Goal for 2012. Think good thoughts is the only way to make your life good. It doesn’t even look like SA ~ how fabulous to know that this kind of thing happens right here on our doorstep 🙂 This might be a motivation to visit Gauteng more often. Gauteng is a great place, especially Joburg. Beacuse people flock here from all over the country and the world, there is never a shortage of things to do. I especially love the “remains of the crackers” photograph – the colours are really pretty. Thank you – it is my favourite photo. It was taken with a wide angle lens which creates that imposing atmosphere. The smell of the left over crackers were so strong too. Inspiring words and great photos to go with them. Thank you James. It really means a lot to me to hear how people enjoy my photography. 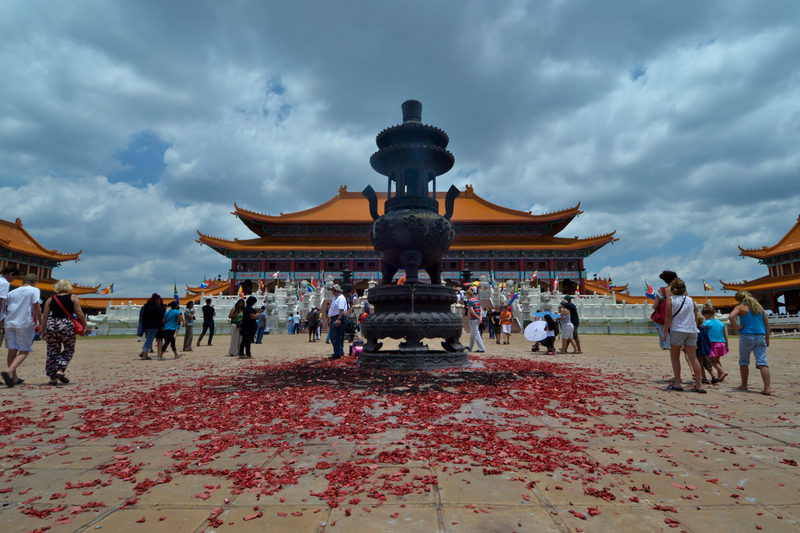 Beautiful Pics, and a remarcable insight into Chinese Culture. In Peru we have the third most important Chinese inmigration in the world. Its part of our being now, and were very proud of it. Keep blogging, your style is also wonderful! Hi Juan, thank you so much for the warm words and for that interesting piece of information – I didn’t know that about Peru. Amazing photography, I especially love the fan being painted and the remains of crackers. You’re very talented, I’m glad I found you on Freshly Pressed! Your post made me wish that I could’ve appreciated the Chinese New Year more. Hi Maddie, wow I am humbled by your comments. Thank you so much. I Liked very much this post. Congratulations. We cam learn much with the chinese civilization. Those three lessons are a good reminder about the path to a simple and joyful life. Thank you for sharing! And your photos are beautiful…whatever the limitations of your current gear, you’ve got a great eye. Thank you so much Julia. Your and everyone else’s feedback has been overwhelming. I think I will try this motto. “Think good thoughts, speak good words, and do good things.” Maybe I’ll become lighter and happier. These are beautiful photos! You make me feel like I was there. Thank you so much. I am absolutely overwhelmed at the feedback I’ve received. It summed up what I attempt to do in my poetry writing each day. Thank You. They really resonated with me too, which is why I decided to name the post after this mantra. All the best with your poetry. What are you going to do about the limitations of your camera? Hi. Well my camera is great, its just in really tough conditions that it becomes evident that its the entry-level model.But I have been looking at buying a Nikon D7000 very soon and having two camera bodies which is great at an event like the chinese new year where you want to get some great wide angle shots and some lovely portraits with something like a 50mm prime lens. you have such nice eye on taking a moment picture!! Don’t think any thoughts. Don’t speak any words. Don’t do any thing… Just be. Or maybe that’s not possible… Happy Chinese New Year! Thank you for this post . . . wise words indeed!!!!!! Thank you for your feedback Jade, really appreciate it. I really enjoyed your blog post and pictures (not sure I could notice the limitations of your camera ;). Thanks for sharing! Aaaah, thank you so so much. Beautiful photographs! I must admit, I didn’t realise there was a significant population of Chinese people in South Africa! It’s great to see the CNY holidays being celebrated in such diverse regions of the world! Thank you. I also think its great and the temple is really good at that, reaching out to people. Beautiful images & good advice! Thanks. Lovely pictures, I must say. I remember watching the trailer of that Chinese documentary. It distances family and yet they have no choice but to work in the city. It is a common phenomenon in many countries. Sometimes, the children want nothing to do with their parents. Its sad. Thank you. The documentary was really heartbreaking. Migrant labour is such an issue here in South Africa. 1 in 3 children live without their biological parents who go off to work in cities while they are raised by grannies or aunts. Good thought and a positive mind anticipate happiness, joy, health and a successful outcome of every situation and action. Your photos are stunning! And love your blog. I actually found Last Train Home on a national newspaper website (The Age, Australia), and ended up watching it as I was studying immigration/migration at uni at the time. Not surprisingly, CNY is the largest human migration in the world with 130 Chinese migrant workers returning home to celebrate the New Year. Amongst those millions of people, the film focuses on one family and their struggles, etc, and it’s truly touching. Definitely recommend it! All the best! Thank you so so much. So interesting to hear you have seen the documentary – it is really heartbreaking. Thank you for the amazing feedback. I am really touched. Wow, a Chinese temple in Johannesburg. Cultures really do spread far and wide, and they bring their people and their traditions along with them. I find it sad that about the only time these people get to spend with their family is the New Year, but then again, it’s good that they do at least have one time in the year they can. I also find it really sad – I don’t think it is enough and it has a huge impact on family dynamics. Lovely piccies, I like the hand-painted fan shot most. Who knew Jo-burg had a chinatown! Probably quite a few people, but news to me. Nice…think good thoughts…do good things…I shall endeavour to continually do so this year. What a beautiful experience you have shared with everyone, thank you. Thank you. I am so glad so many people have enjoyed it. Beautiful photos! Thank you for sharing such a unique experience – makes me want to be there! Such a lovely perspective on a different culture’s priorities for Americans like us who need to put more focus on family sometimes. Looking forward to delving more into other parts of your blog – these titles look intriguing! I was wondering, which photo was your favorite to take?! Thank you so much for the amazing feedback and I do hope you enjoy the blog. My favourite photo to take was the one with the remainder of the crackers because I planned that in my head first and it came out just how I wanted. Many of the others were snapped very quickly as the action was happening or I was too far away for the pic I really wanted. Oh wow! Never even knew there were a buddhist temple in GP, let alone chinese new-years celebrations, lol. I could not agree more – such a good habit to get into. I really enjoyed this post and your pictures! I think I could really use the “think good thoughts” part. It would make a huge difference on my life. Going to China must be a wonderful experience, I hope I have that chance one day! Me too! I have been to Vitenam and Cambodia in Asia (and Japan but that’s very different). Wow, it looks like it was an amazing time! I love the pictures you posted, my favorite picture is the one of the lanterns being released into the night. Thank you, it was amazing. I wish I had been able to get better photos of that but it was really hard with it being so dark. Will aim for better ones next year for sure. Interesting thoughts, and great pictures! I do try to think good thoughts but isn’t amazing that we have been programmed to do otherwise! Yes and I think it’s an easy trap to fall into. Sometimes I used to catch myself looking at some girl and thinking ugly things just because she was very pretty. Over the past two years I have made it my goal to be a lot nicer to other women, especially in my own head. It makes you feel much better too because it takes a lot of energy to be miserable and thinking negative things about other people. Yes, excellent post. Reminds me of what the Spanish piliosopher and poet Miguel de Unamuno once said: “It is not enough to do good, one must also be good”. I haven’t heard that before, but I could not agree more. Thank you for sharing.